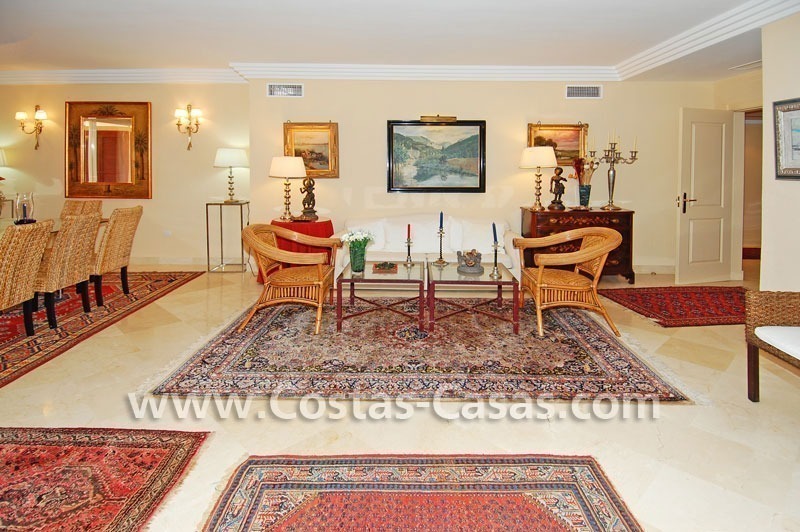 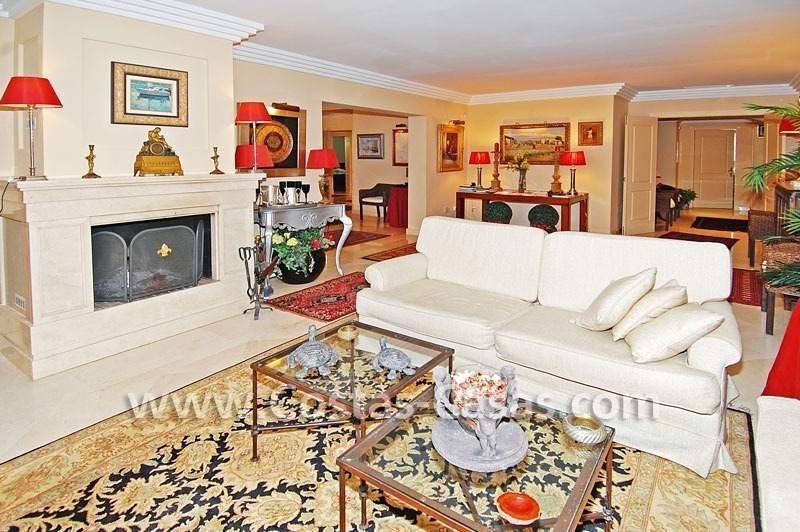 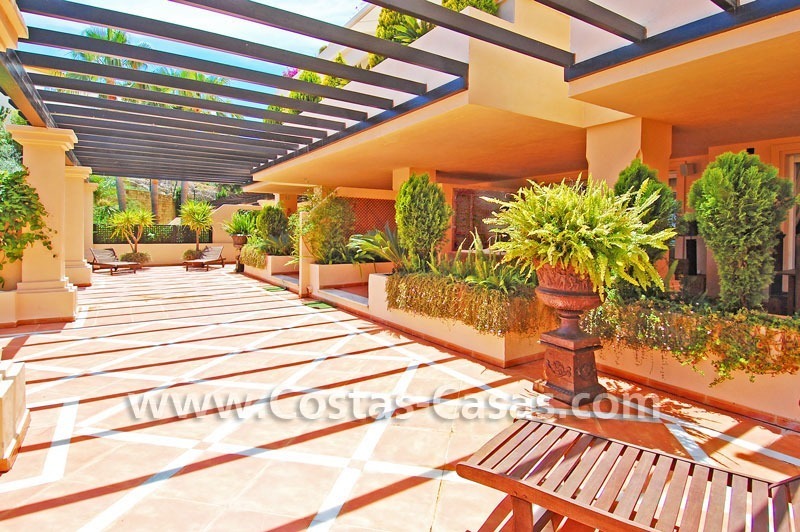 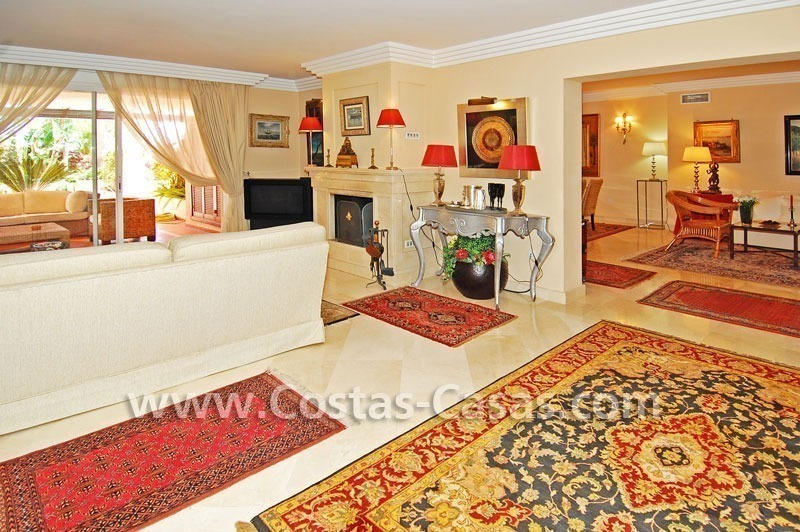 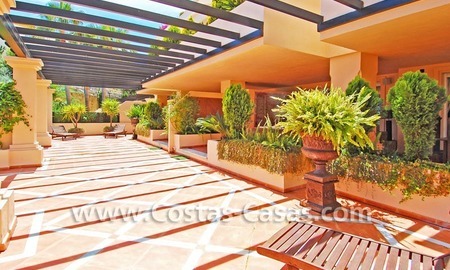 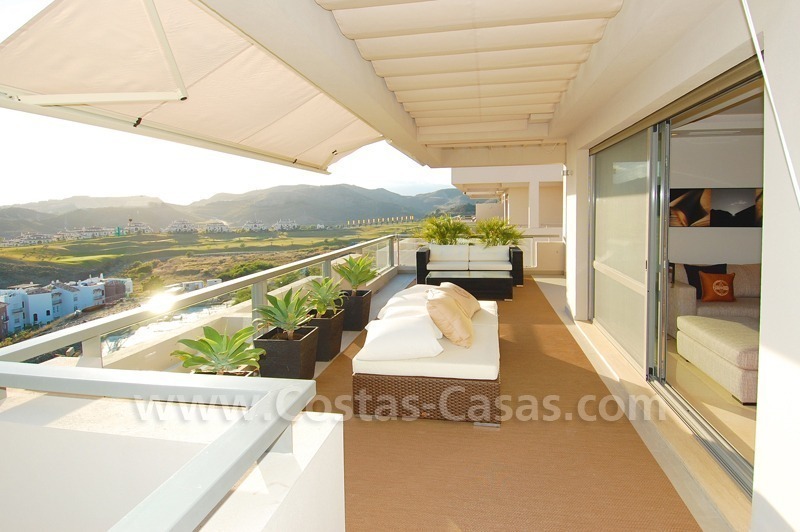 Prestigious area within Marbella´s golf valley in Nueva Andalucía. 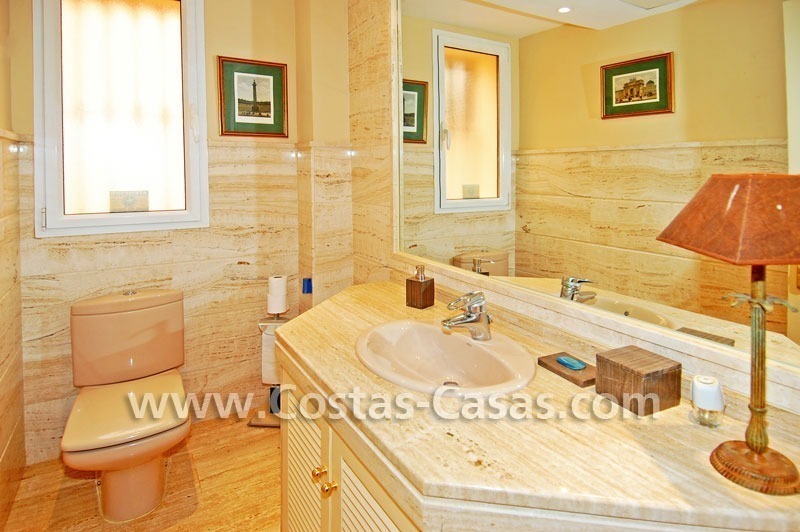 You will find 7 renowned golf courses in the valley. 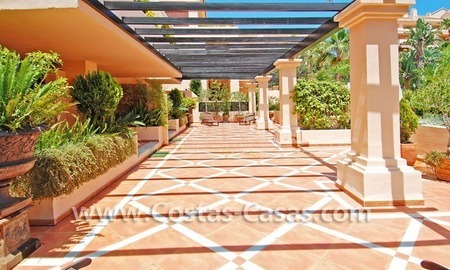 We also have more golf courses, amenities and Puerto Banus within a few minutes drive. 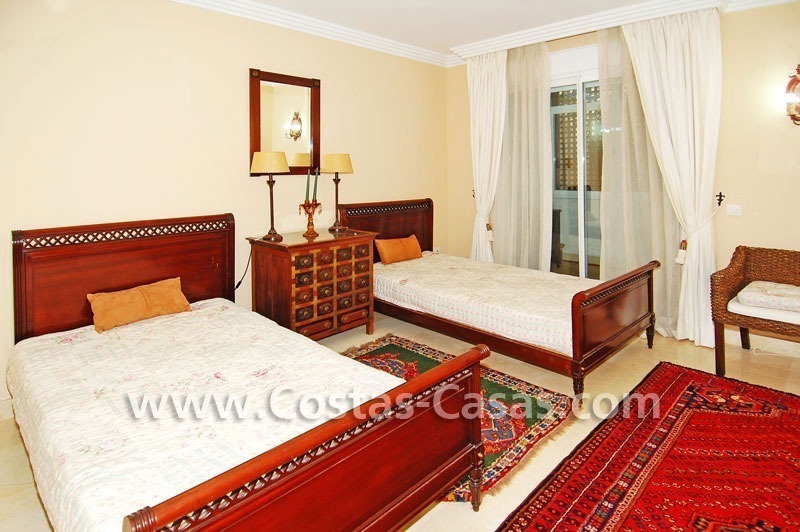 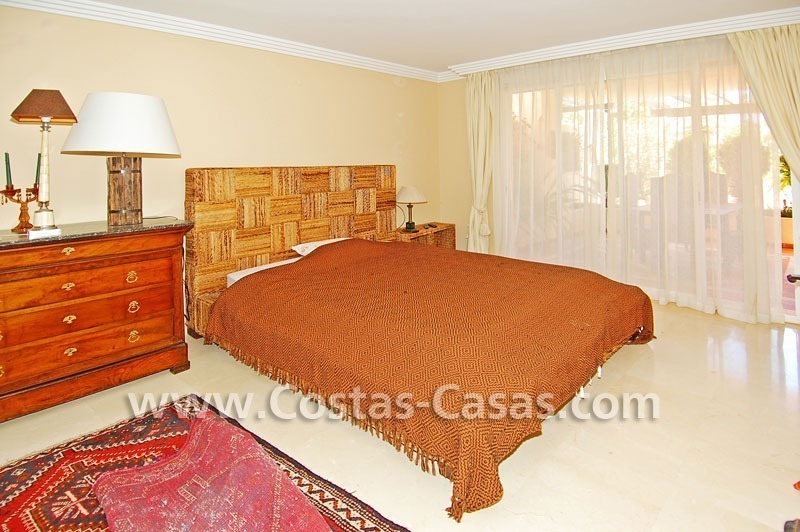 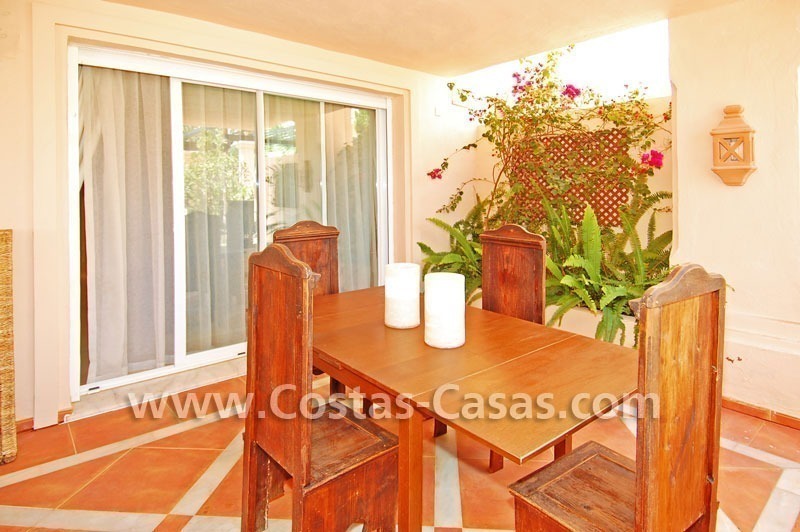 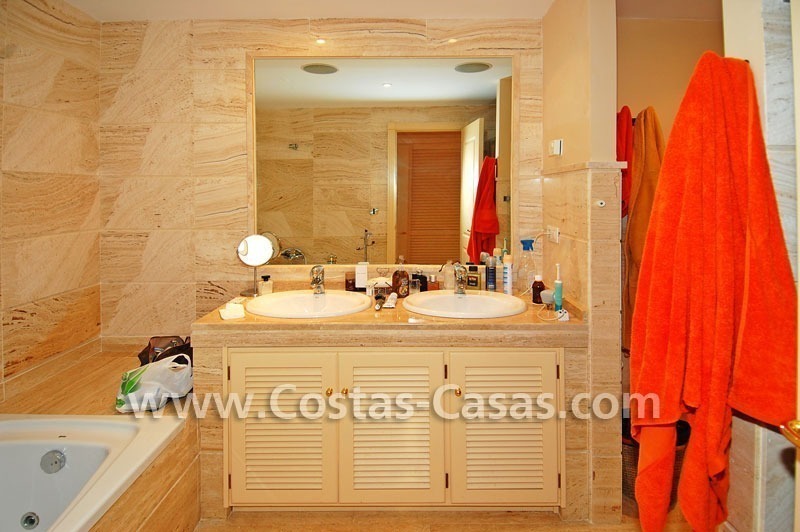 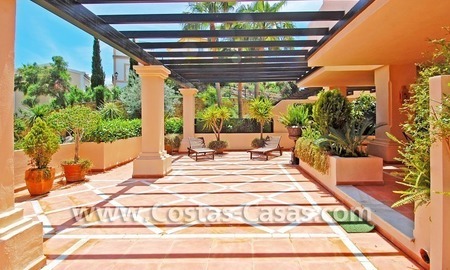 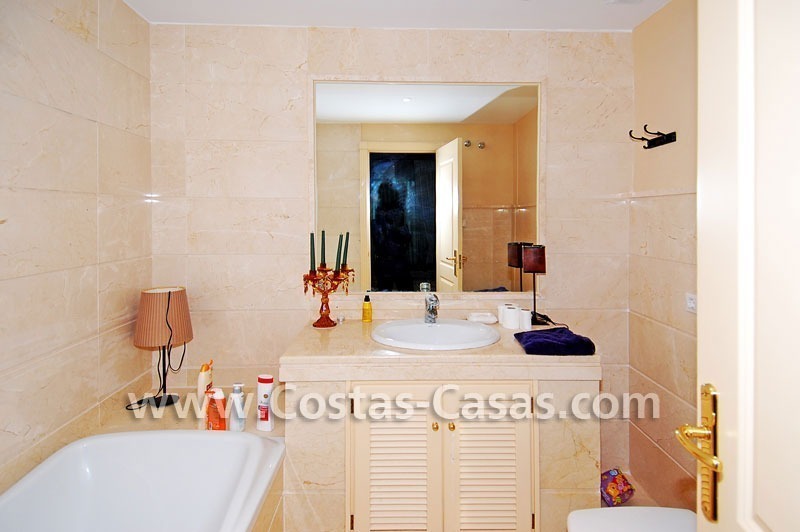 The well maintained complex is gated and has 24h.security. 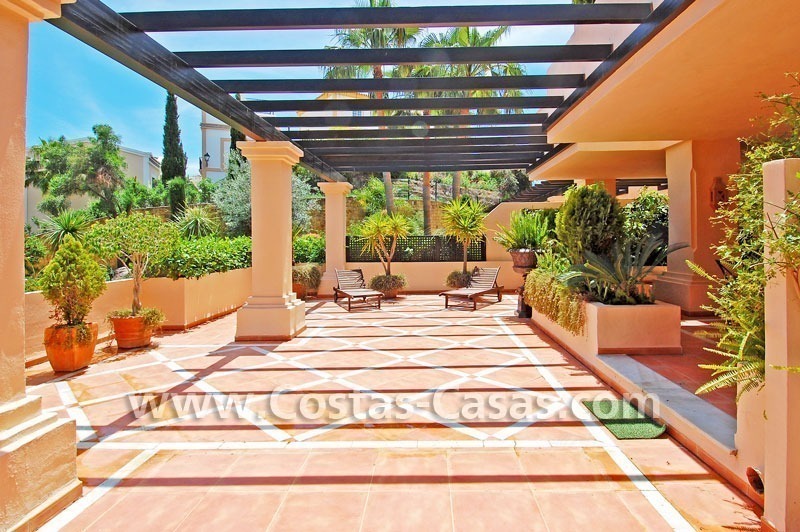 It has 3 outdoor swimming pools and 1 indoor pool, sauna, gym, a tennis court and communal subtropical gardens. 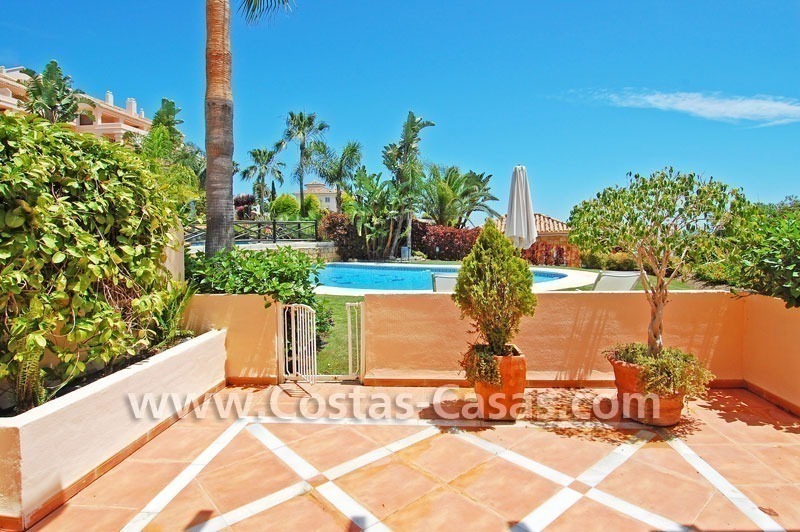 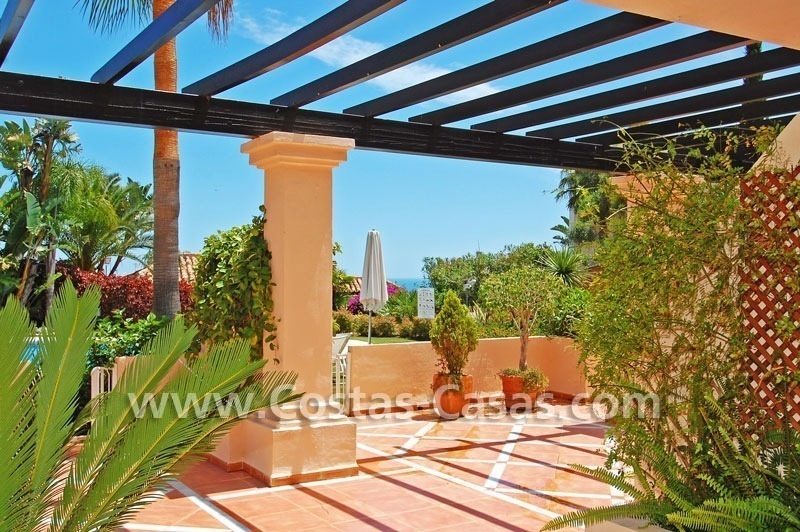 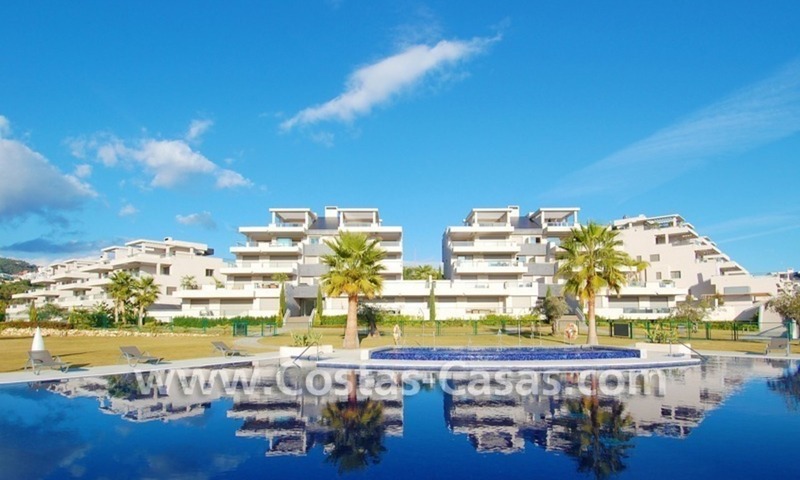 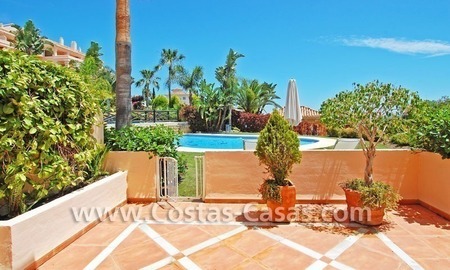 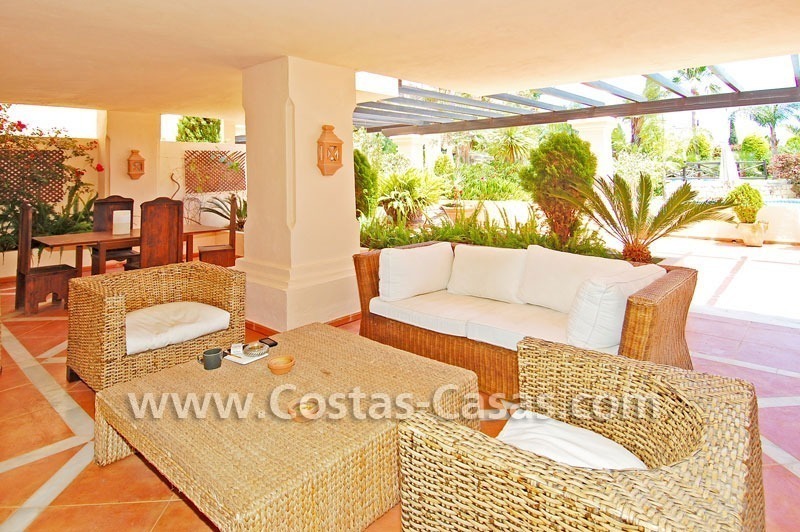 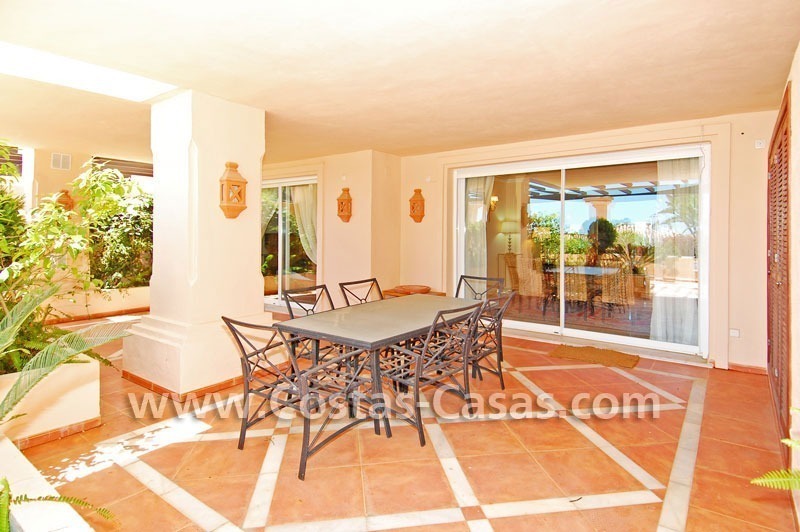 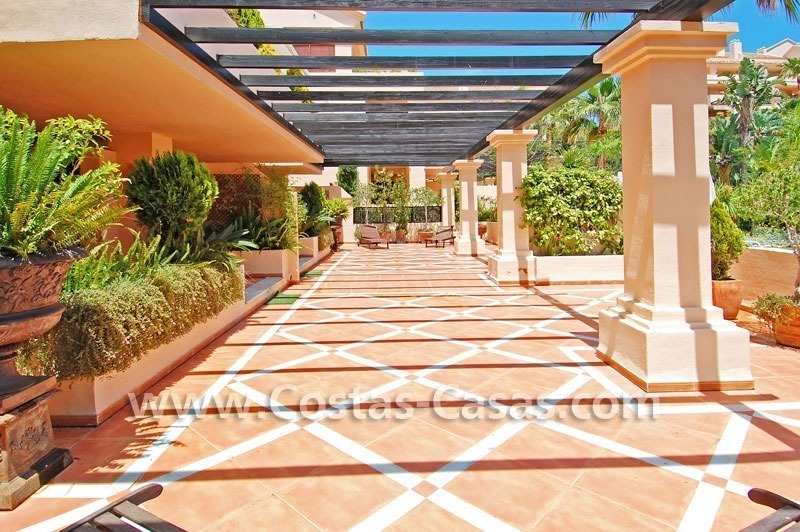 Ground floor apartment with views to the garden, pool and partially to the sea. 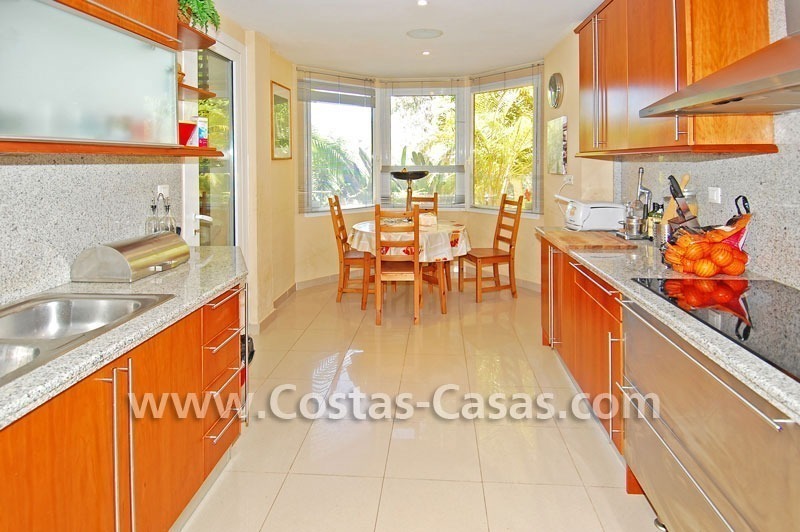 2 f/f kitchens plus laundry rooms. 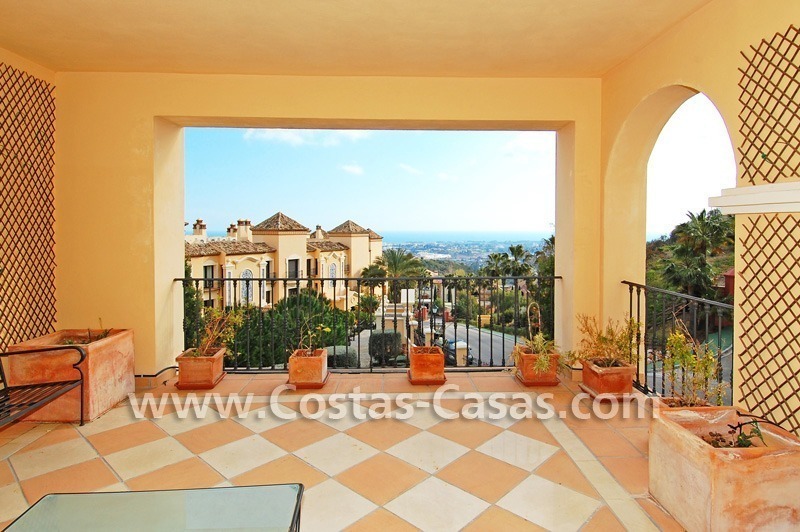 The asking price for the two apartments is 1.150.000 € but 1 apartment could be bought separately if desired. 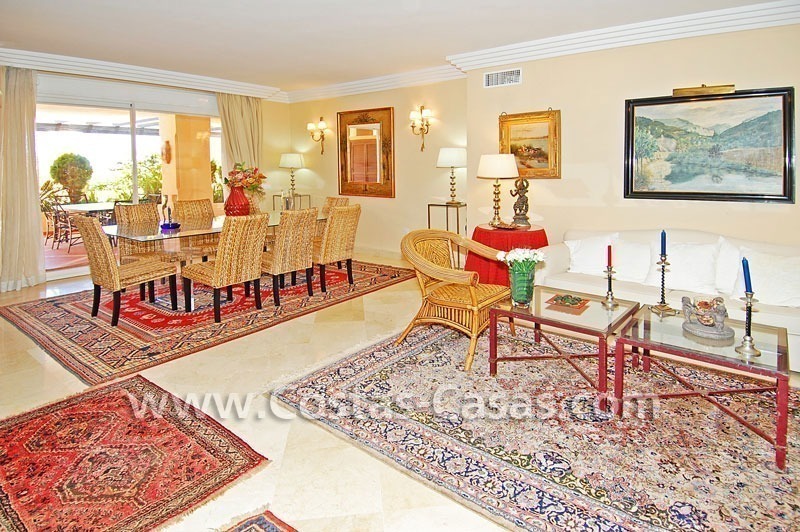 A very large and luxurious 2 bedroom apartments together with 4 bedrooms en-suite for sale in a desirable area of Nueva Andalucia – Marbella.